From small buildings 100 sq. ft. to monster buildings 100,000+ sq. 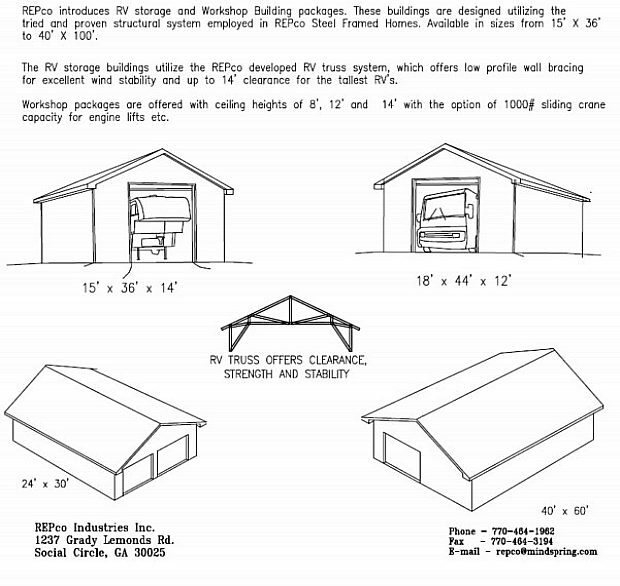 ft., REPco can supply you with the steel frame garage or utility building package kit that will meet your needs. Ceiling heights from 8' to 16' are most typical. 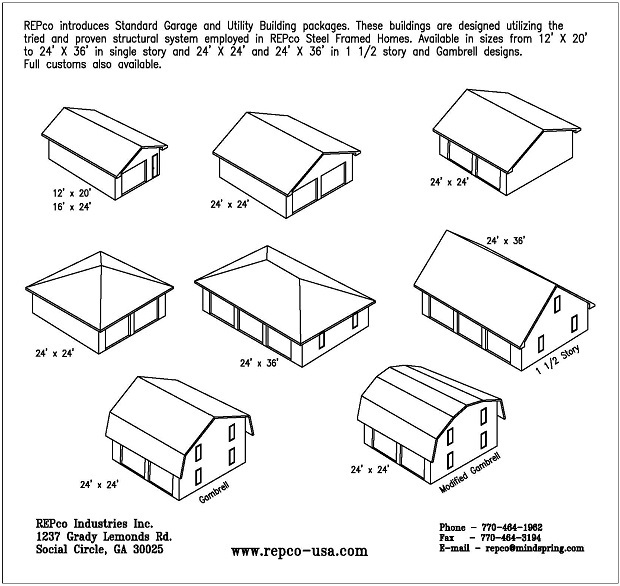 Roof pitches from flat to 12/12 and above, are available to match any architecture. 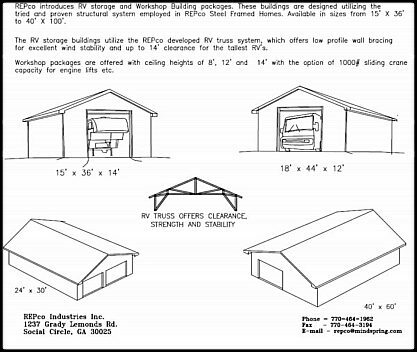 You choose the size, ceiling height, roof pitch and location of wall openings for your custom garage or utility building and REPco will design/ engineer the building kit and ship it to your site. The roof system can be designed to support a sliding crane for lifting engines and other heavy objects, with enough room for a car or truck lift. Additions are designed as stand alone structures and are tied in to the present structure, on site. Our steel frame building systems are designed to meet the codes that are applicable at the job location. REPco engineering will design to meet any code in the world. 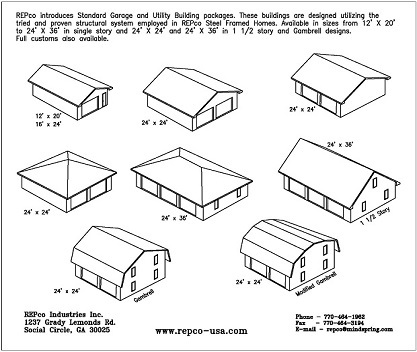 Whatever size or shape you want, REPco will custom design and supply the Garage, Workshop or Utility Building that you need. For those who want the building kit installed, we have crews available in many areas. Some of our more typical steel frame garage, workshops and utility buildings are listed on the following pages. Our packages are designed with the same attention to detail, with the roof and wall systems just like our homes. Every structural wall is designed and drawn to simplify installation by the end user or professional installer.